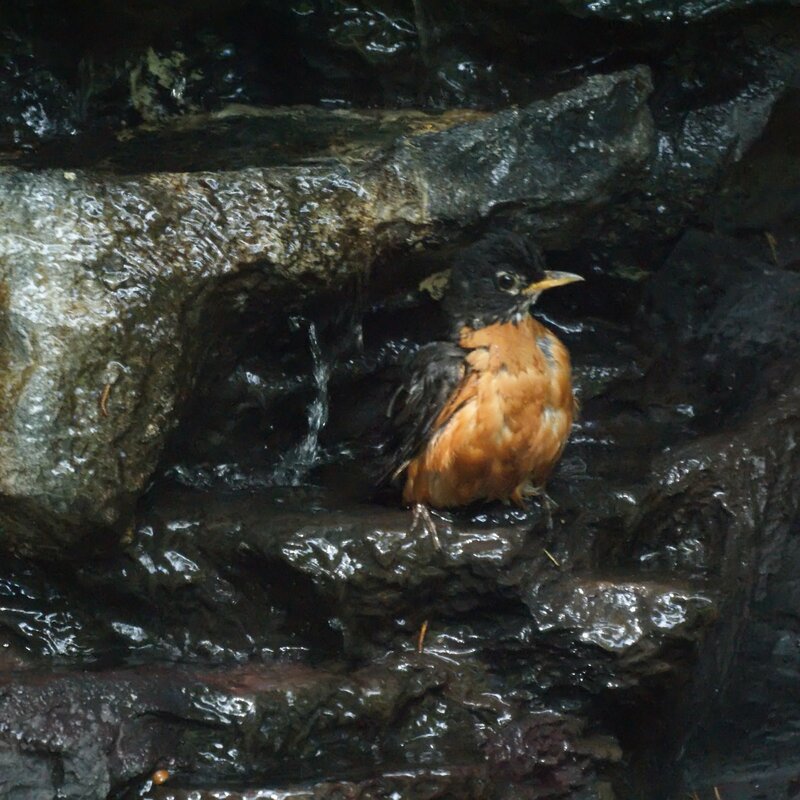 One very hot day, we caught this robin taking a bath in our waterfall. 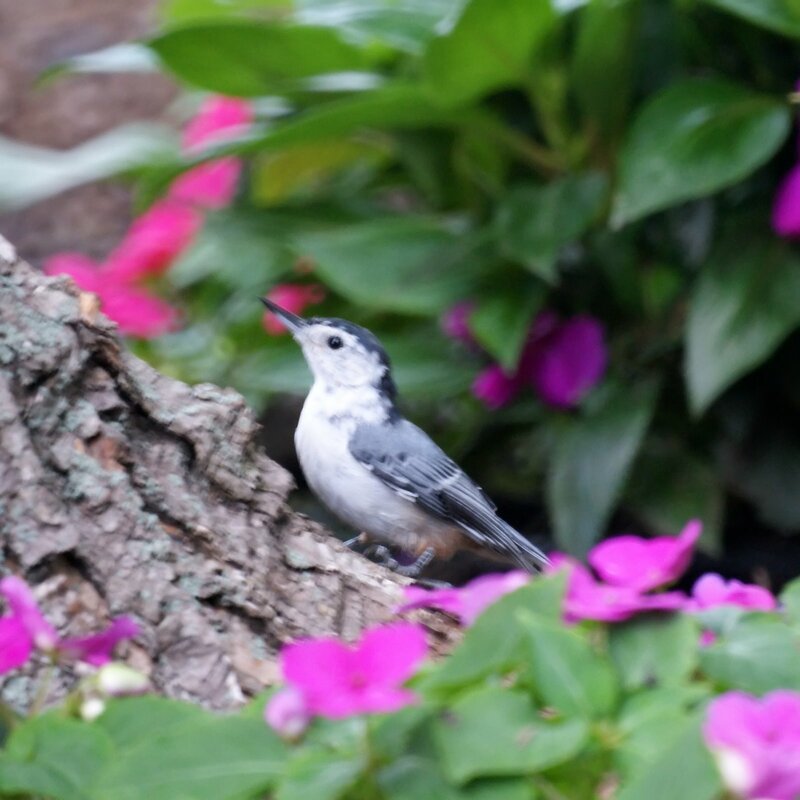 The nuthatches have been very active on the tree trunks but rarely are found on the ground. 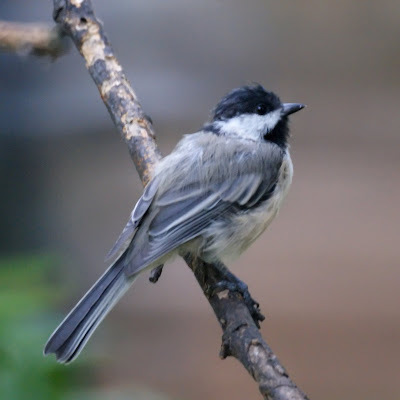 We've had quite a few chickadees. They also enjoy the waterfall, but they have also been coming to the tree closest to our deck.